Google has created a bunch of free tools that are incredibly useful for SEO. These tools can help you with many things, such as communicating with Googlebot about your site, analyzing your traffic and making your site faster and better. 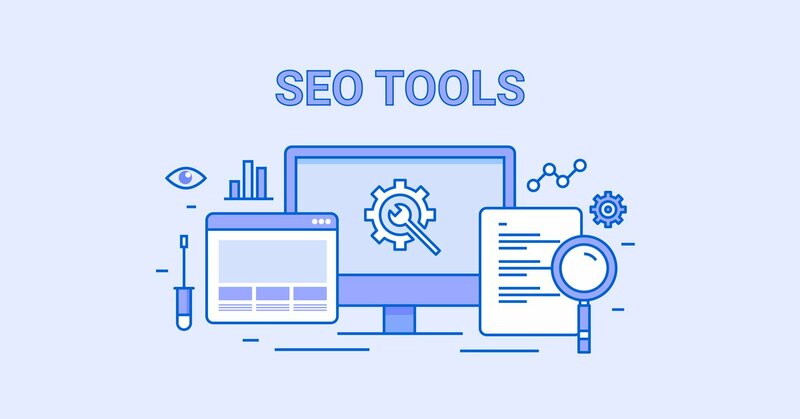 Here are 7 free SEO tools from Google itself. Google Search Console is an incredibly important tool for webmasters. If you want to maximize your search traffic, then you absolutely need to add your site to the search console. This is Google’s preferred way of communicating with webmasters about their sites. For example, you can tell it which sites to look for by uploading a sitemap. Google will also inform you about any problems related to your site through this tool. Sitemaps: Here you can upload your sitemap, which tells Google which pages to look for and hopefully show in the search results. Performance: A good overview of your impressions, clicks and average position for different keywords in Google search. Coverage: See broken links to your site and whether Googlebot has trouble indexing or crawling your pages. URL Inspection: View data that Google has about your individual pages. Security and Manual Actions: If you have malware or a manual penalty on your site, then you can find out about it here. Enhancements: Suggestions to improve your site, such as mobile usability fixes. Links: Here you can see some of the links pointing to your site. This is just the tip of the iceberg. There is a ton of more useful data available in Google Search Console if you browse through the reports. Chances are high that you will find some improvements to make that can improve your SEO results. If something bad happens to your site, such as getting hacked or noindexed due to a mistake, then getting that information fast can help you avoid catastrophe. Here’s a detailed guide on how to add and verify your site in Google Search Console. Bottom Line: Google Search Console is a free tool for webmasters. It can help you optimize the visibility and performance of your site in search. The Google Ads Keyword Planner is a tool that enables you to research keywords for Google search. This tool is mostly intended for advertisers using Google Ads, but it is also useful for SEO since it can be used for keyword research. What you do is simply login with your Google account, click “Find new keywords” and then enter the keywords you want to research. Avg. monthly searches: Google shows you a range of potential search volume for the keywords, such as 10K-100K per month. Competition: This shows the level of competition for serving ads for the keywords. Top of page bid, low and high range: This estimates how much it would cost you to be listed at the top of the search results page with paid ads. Keyword ideas: Popular words and phrases that are related to your keyword. The keyword planner is much less useful than it used to be since Google doesn’t give the exact search volume anymore. Using the free tool Keywords Everywhere can help supplement the data in the keyword planner with a more exact estimate of search volume. 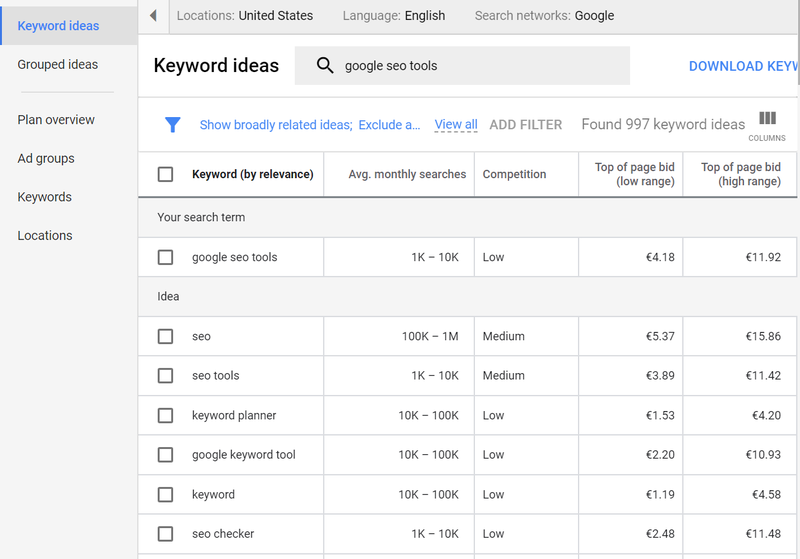 Bottom Line: The Google Ads Keyword Planner can be useful for SEO keyword research. You will see an estimated range of monthly search volume, as well as suggestions for related keywords. Google’s mobile-friendly test tool can help you see whether your site performs and functions optimally on mobile. More people browse the web with mobile devices than computers. For this reason, it is absolutely crucial to have a mobile-friendly site. This tool will tell you if Google sees your site as being mobile-friendly or not. Blocked resources: If Google can’t view all the files on your site then it can affect how well it performs in the search results. Font size too small: If your text is too small to read comfortably on a mobile device. Clickable elements too close together: If you have links or buttons that are very close together then visitors could click on the wrong links by mistake. In addition to using this tool, you should also regularly browse your own website on your phone to make sure that everything is working as it should. 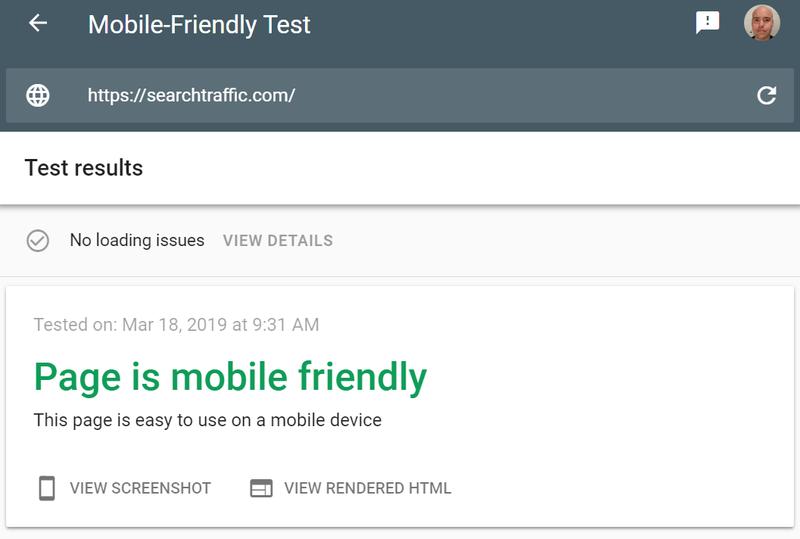 Bottom Line: You can use Google’s mobile-friendly test tool to see if there are any technical or usability errors on the mobile version of your site. 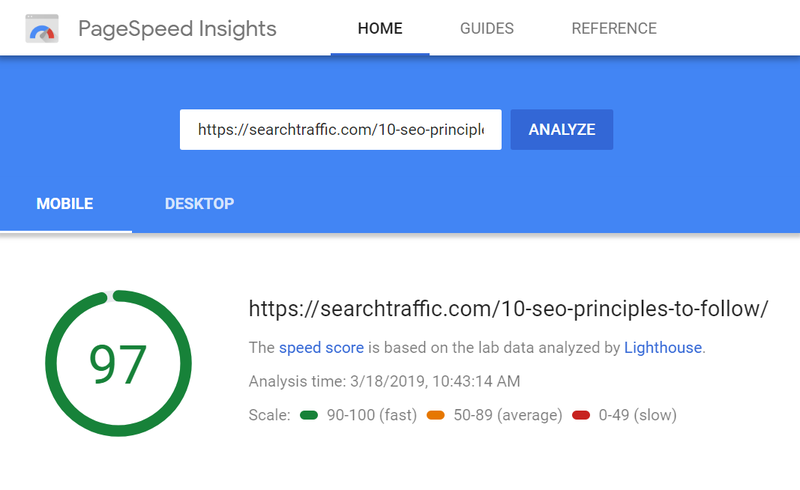 The Lighthouse tool is a free tool by Google that you can use to audit your pages for performance, accessibility, usability best practices and SEO. This tool is now built into the latest versions of the Chrome web browser. But you can also run it by typing your URL into Google’s web.dev beta site. Open an incognito window in Google Chrome. Go to the URL of the page you want to test. Right click on the page and click Inspect. Select Audits in the menu bar. Choose your settings and click Run audits. 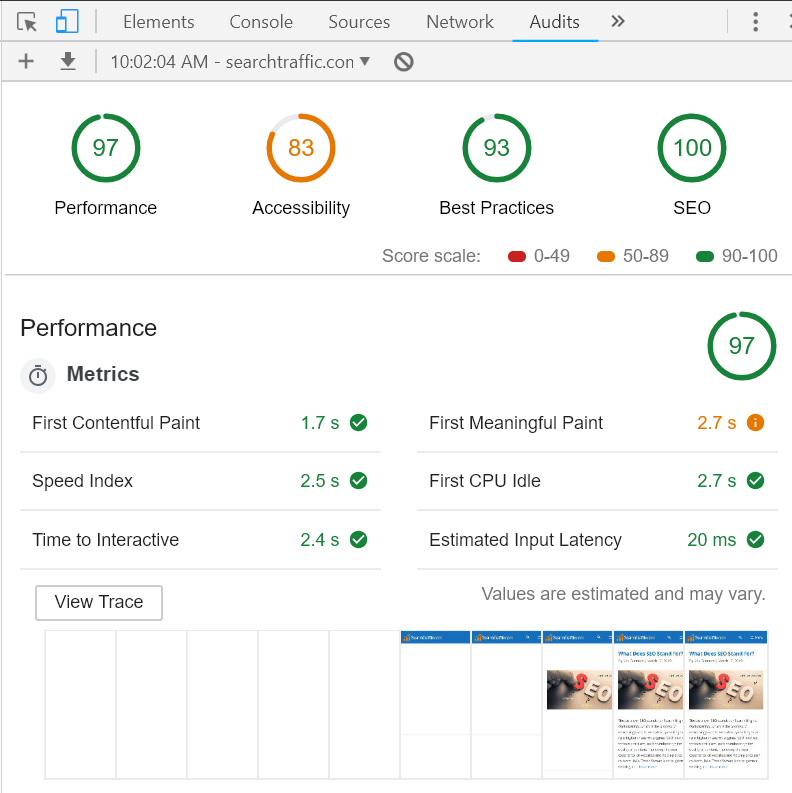 Now you will get scores from 0 to 100 for Performance, Accessibility, Progressive Web Apps (if applicable), Best Practices and SEO. You will also see detailed performance metrics and loading times. There are also various usability, accessibility, and SEO improvement suggestions. You can click on “Learn more” for each suggestion for more info about how to fix it. This report is particularly useful to measure site speed and performance issues. Bottom Line: The lighthouse tool can help you measure your site’s performance, accessibility, usability and SEO. It will give you a score from 0 to 100 and provide specific performance metrics and improvement suggestions. The PageSpeed Insights tool is very useful to to optimize the loading times of your site. This tool tests your site on both mobile and desktop, giving you a performance score from 0 to 100. It actually uses the Lighthouse tool mentioned above to calculate the score. Just like with Lighthouse, you will find detailed suggestions to improve your site’s performance. This is critical, because a whopping 53% of visitors may simply abandon your site if it takes more than 3 seconds to load. In addition, site speed is an official ranking factor in Google. Bottom Line: The PageSpeed Insights tool can measure your site’s performance on both desktop and mobile. It provides detailed suggestions for improvement. There are many web analytics tools out there, but Google Analytics is by far the best. It also happens to be completely free unless if you have a very big company and want to use the paid enterprise version. How people find your site. How many people convert to sales or newsletter subscriptions. Which countries your visitors are from. Which devices your visitors are using to browse your site. How many people who visit your site end up returning to it. Your real-world page loading times from actual users. This is just the tip of the iceberg. There is a massive amount of reports you can view in Google Analytics to learn more about your website and its users. You need to know all of this in order to figure out what’s working and what isn’t. If it gets measured, it gets managed. Bottom Line: Google Analytics is a free tool that you can use to analyze your website and visitors. You will get an immense amount of data from the many different reports. 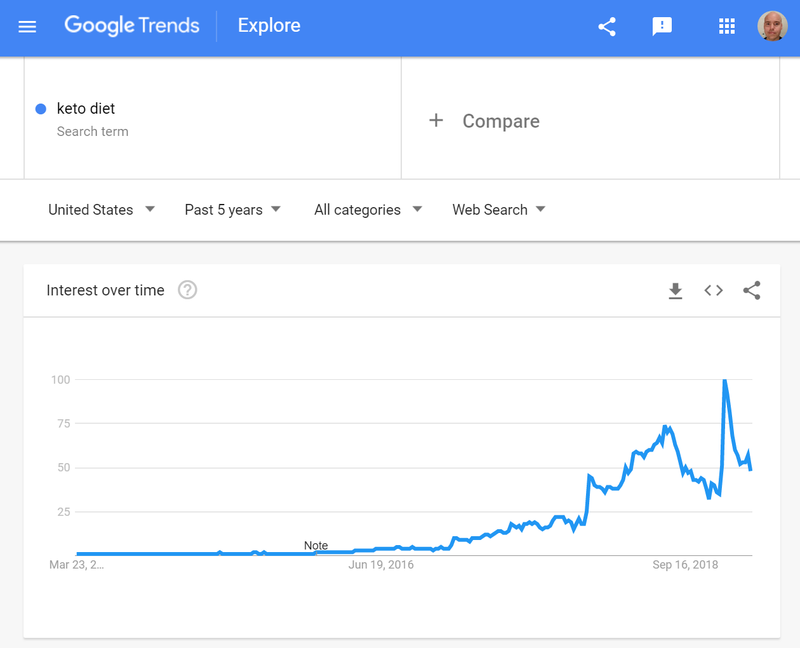 Google Trends is another free tool that you can use for SEO when researching keywords and topics. You can use it to see the popularity of different topics, keywords, and brands over time. For example, if you see that a topic is increasing in popularity then it may be a good one to write about. This tool can also tell you whether certain topics are more popular in certain countries and cities. In addition, you can use it for competitor research and see whether brands that compete with yours are becoming more or less popular. Bottom Line: Google Trends is a useful free tool to see the popularity trend of different topics, keywords and brands. You can use the free Google SEO tools above to analyze and optimize your site. This can help you improve your site to get more traffic. As you can see, Google really cares about site visibility, mobile friendliness and page speed. These also happen to be highlighted in my recent article about the 10 core SEO principles to follow at all times.